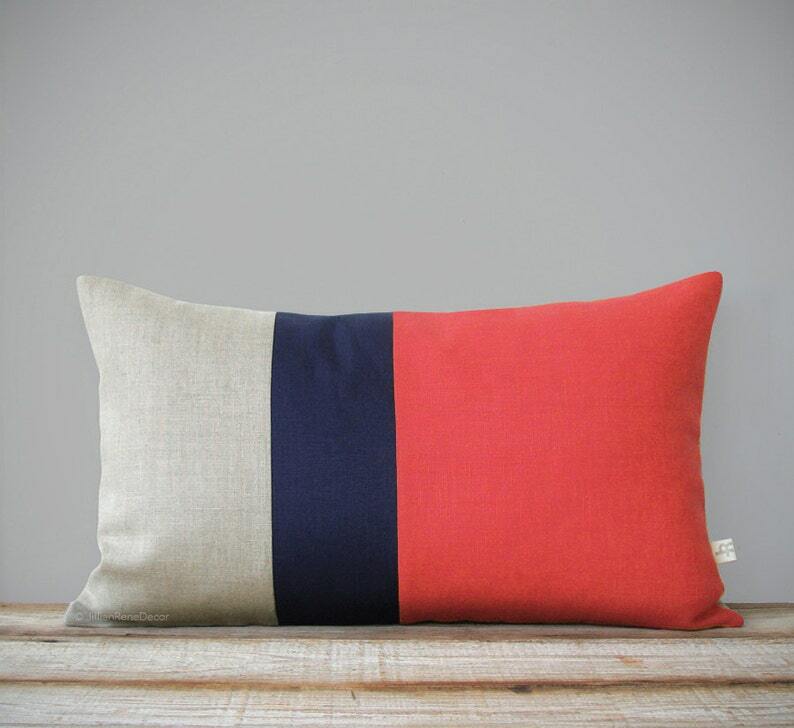 :: 12x20 DESIGN :: Colorblock stripes in coral, navy and neutral give this natural linen pillow cover a punch of color. Featuring the 2019 Pantone Color of the Year! This beautiful pillow will make the perfect accent on a chair, sofa, window seat or bed. It would also make a perfect housewarming gift too! - Front: coral, navy, natural linen color block stripes.